In his Mystery of the Cathedrals, the great alchemist Fulcanelli revealed the teachings of the hermetic art encoded in the sculpture and stained glass of the great cathedrals of Europe. What he did for churches, his disciple Bernard Roger does here for fairy tales. Drawing upon the original versions of fairy tales, not the sanitized accounts made into children’s movies, the author reveals how the tales illustrate each stage of the Great Work and the alchemical iterations required to achieve them. He shows how the common motif of a hero or heroine sent in search of a rare object by a sovereign before their wishes can be granted is analogous to the Masonic quest for the lost tomb of Hiram or the alchemist’s search for the fire needed to perform the Great Work. He also reveals how the hero is always aided by a green bird, which embodies the hermetic understanding of the seed and the fruit. By unveiling the secret teachings within fairy tales, Roger demonstrates the truly ancient lineage of these initiatory stories and how they originated as the trigger to push humanity toward higher levels of consciousness. The stories of wonders and marvels generally begin with the introduction of the hero. In the domain of my interpretation, the hero represents the candidate for initiation as well as the prime matter of the Great Work. This matter is commonly described as “scorned by the common folk.” The tales often show us boys and girls who have been marginalized by the societies in which they live, or by their own families who have rejected them. They can also be the victims of some kind of handicap or evil spell or have been born poor or fallen from high estate. The hero is often the youngest son of the family, who may also be mentally deficient or physically handicapped. The most famous example is that of Perrault’s poor Hop o’ My Thumb. But it could also be the youngest son of a king, as in The Magic Whistle in which the child receives a fairy’s help after he has behaved courteously toward her. In The Golden Bird, the youngest is the only one of three brothers who does not surrender to sleep when it is his turn to stand watch over the fruits of his father’s orchard, and the “simpleton” in The Queen Bee, who urges his brothers to spare the lives of the inhabitants of an anthill, then a hive, and finally a pair of ducks whose necks the bad brothers are preparing to wring so they can roast them. Sometimes the hero has been marked at birth by a sign or unique feature that distinguishes him or sets him apart from the social norm. In The Devil with Three Gold Hairs, in which the hero is “born with a caul,” it had been predicted he would “wed the king’s daughter when he turned fourteen.” This news had greatly displeased the king, who immediately purchased the newborn from his parents so he could put him in a box that he cast into the river. In The Gold Children, two twins owed the precious material of their bodies to the two pieces of a golden fish that their mother had eaten before they were born. The hero of The Princess’s Slipper is the youngest son of folk “who were dirt poor.” His father was dead and because no mass had been said for him, he came knocking on the walls of the house every night to the great terror of the whole family. Hansel and Grethel are the children of poor woodcutters. Because they cannot feed them, they do as Hop o’ My Thumb’s parents and abandon them in the heart of the forest. It seems that as a general rule in the tales, the girls leave for reasons that are different from those of the boys. While some maidens also set off to find family members--like the princess of The Golden Apple, who, although “already practically grown-up,” goes to visit her brother the king accompanied by her aunt--none ever seem to have taken to the road to see the world, to pursue a bird, or go on a quest to distant lands to find some animal or magical object. Many set off in search of a fiancé or husband who has vanished or been bewitched. The “beautiful and good” heroine of Sweetheart Roland barely escapes her stepmother’s hatred. In the middle of the night, this abominable witch thought she had cut off her step-daughter’s head, but it was that of her own daughter--a wicked and ugly girl, we are assured--with whom the beautiful one had skillfully managed to swap places with in bed. Once the old woman had left, satisfied with her ill deed, the young girl “got up and got dressed to flee and went to find her sweetheart,” who was named Roland. She knocked at his door, and when he opened it said, “Listen, dearest Roland, we must hasten away with no delay.” When the young couple, after many adventures, has finally escaped the fury of the old crone, the boy goes to his father’s house to prepare the wedding. While waiting for him to return, she changed herself into a “pretty red milestone.” But she waited too long because once “Roland returned home he fell into the snares of another maiden, who captivated him so fully that he forgot all about the one who was waiting for him.” The forgotten maiden, after much grief, despair, transformations, and adventure, regained her courage and set off to win back her fiancé. A good many heroines were forced to set off on the high road to adventure while performing the most mundane of tasks. The most famous--and most dramatic--is certainly Little Red Riding Hood, who was simply bringing her grandmother some cake. 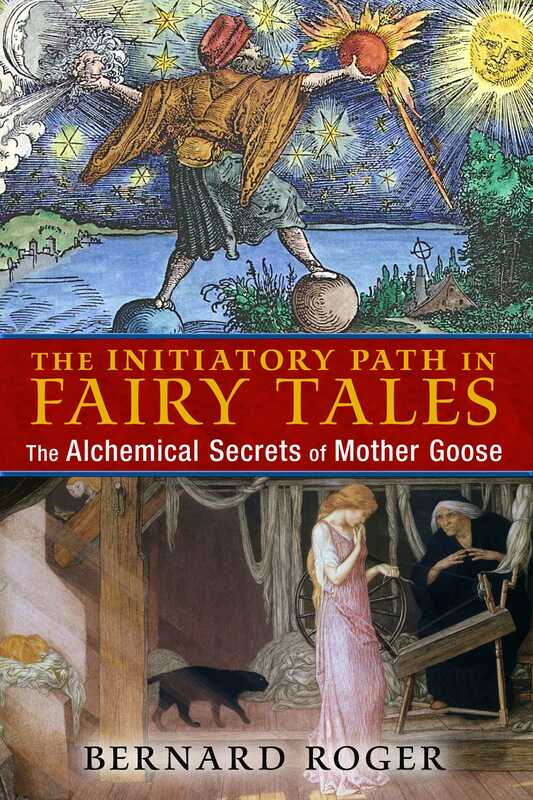 "The Initiatory Path in Fairy Tales: The Alchemical Secrets of Mother Goose by Bernard Roger A truly phenomenal book. A favorite!"